Peña CJ, Nestler EJ, Bagot RC. 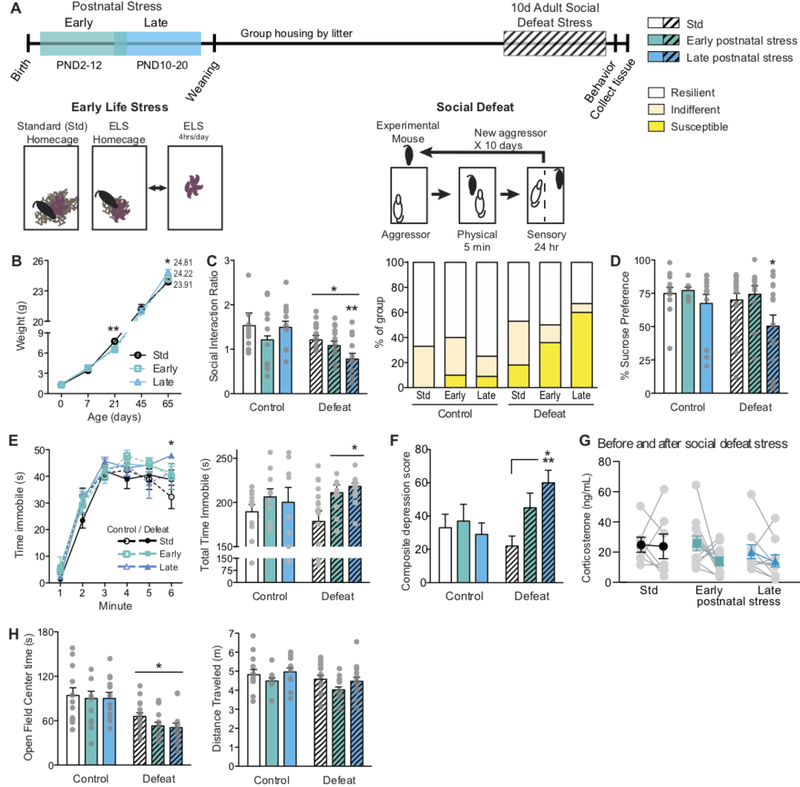 (2019) Environmental programming of susceptibility and resilience to stress in adulthood in male mice. Frontiers in Behavioral Neuroscience. Bagot RC, Cates HM, Purushothaman I, Vialou V, Heller EA, Yieh L, LaBonté B, Peña CJ, Shen L, Wittenberg GM, Nestler EJ. (2017) Ketamine and Imipramine Reverse Transcriptional Signatures of Susceptibility and Induce Resilience-Specific Gene Expression Profiles. Biological Psychiatry, 81(4):285-295. Heller EA, Cates HM, Peña CJ, Sun H, Shao N, Feng J, Golden SA, Herman JP, Walsh JJ, Mazei-Robison M, Ferguson D, Knight S, Gerber MA, Nievera C, Han MH, Russo SJ, Tamminga CS, Neve RL, Shen L, Zhang HS, Zhang F, Nestler EJ. (2014) Locus-specific epigenetic remodeling controls addiction- and depression-related behaviors. Nature Neuroscience, 17(12):1720-7. Peña CJ and Nestler EJ. (2018) Progress in Epigenetics of Depression. Progress in Molecular Biology and Translational Science.